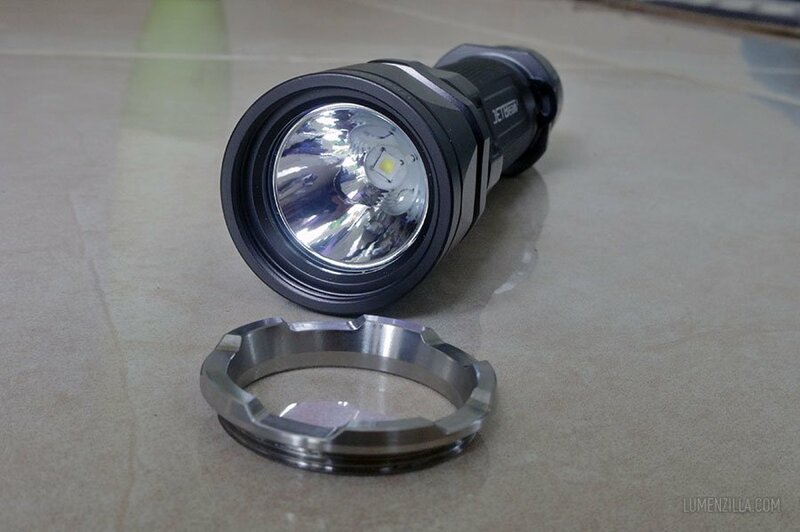 JetBeam Jet-IIM is multi-function tactical LED flashlight that made of aero grade material and specifically designed for military, law enforcement, adventure, or hunting. 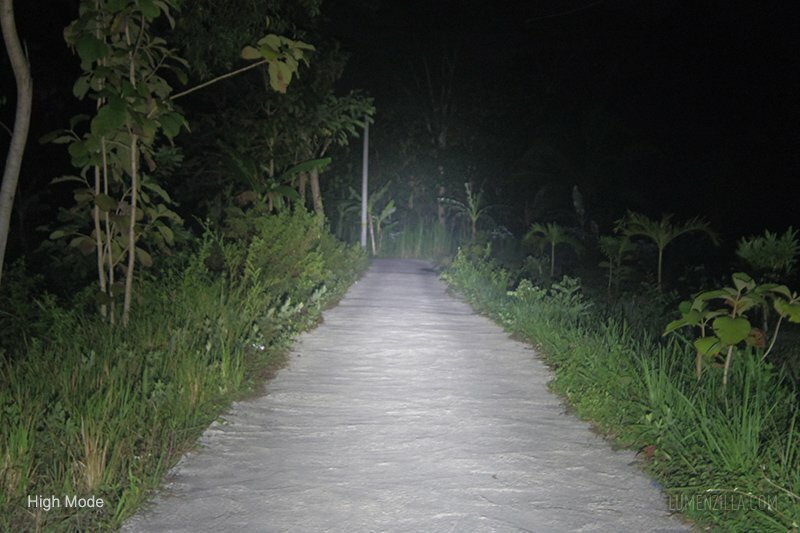 By utilizing XP-L HI LED emitter, Jet-IIM is able to burst 1100 lumens output for 1.5 hours according to the manufacturer specification. 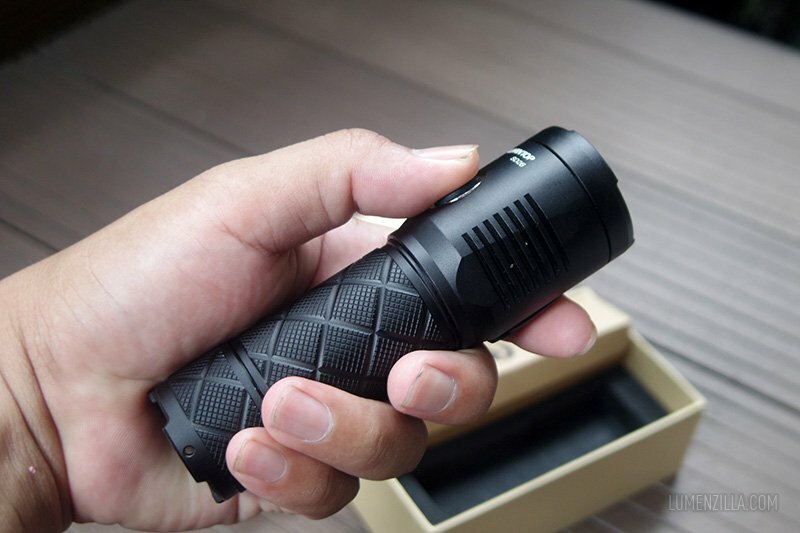 This flashlight is currently on sale at Gearbest for just about $33 . 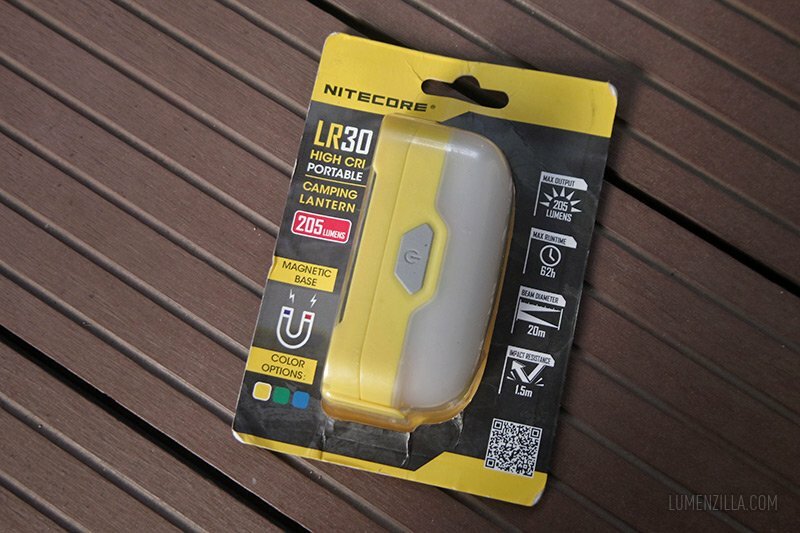 No battery is included so you’ll gonna spend some bucks for the batteries (one 18650 or two CR123) and charger if you don’t have them around yet. 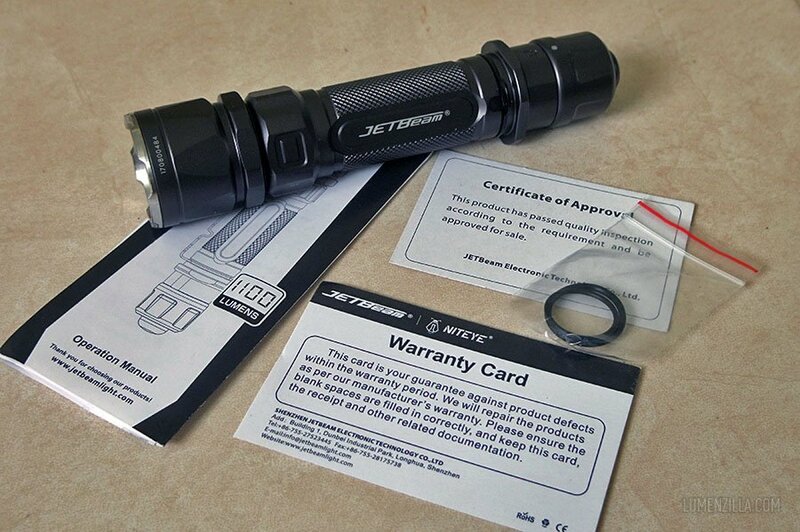 The flashlight came inside a Jetbeam-typical blue box with clear cover on front and no accessories were included. My first expression was… it’s big. Not very big but quite big for a 18650 flashlight. 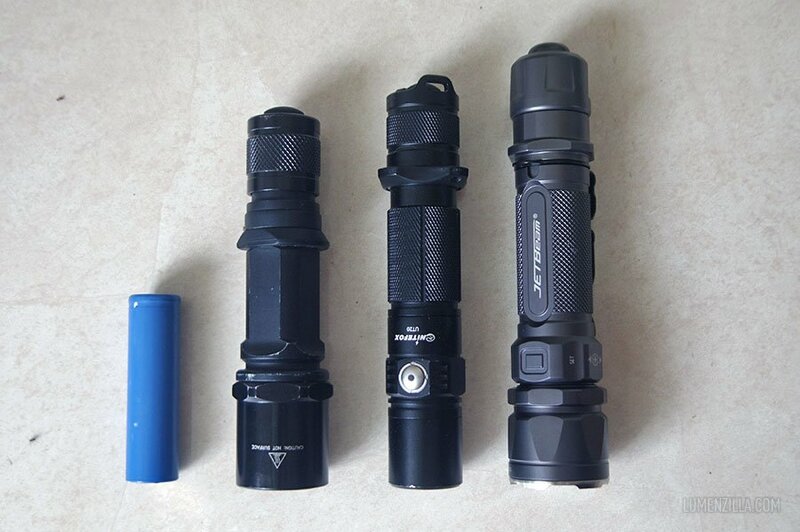 I took a moment to take picture of JetBeam JET-IIM compared to other flashlights. From the left to right: 18650 battery, Surefire 6P with Solarforce L2T body, Nitefox UT20, and JetBeam JET-IIM. 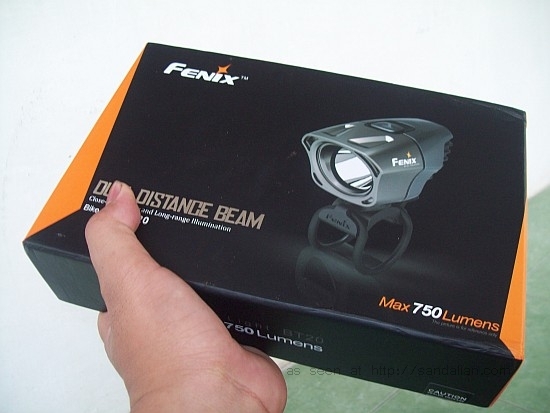 As the flashlight is specifically designed for military, law enforcement, adventure, and hunting; the build quality is decent. Solid as rock, yet not too heavy. I think it’s made from the same material as other Jet series. On the head, we can see polished metal bezel which is nice and sleek. Not intimidating but still efficient for impact weapon. The bezel itself is removable. I don’t know what’s the purpose for having removable bezel, please kindly tell me by writing comment below. The clip is very strong and inserted between body and tail cap. 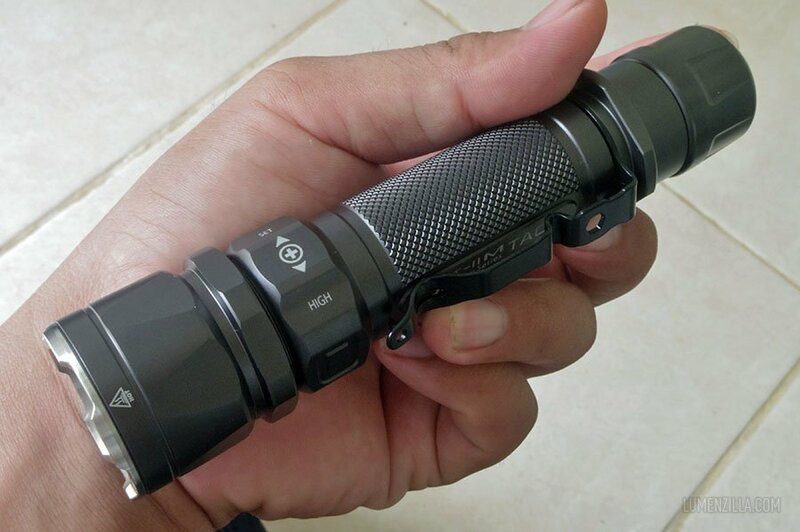 Look at the curve on the clip, it will ensure the flashlight stays where it is clipped to. 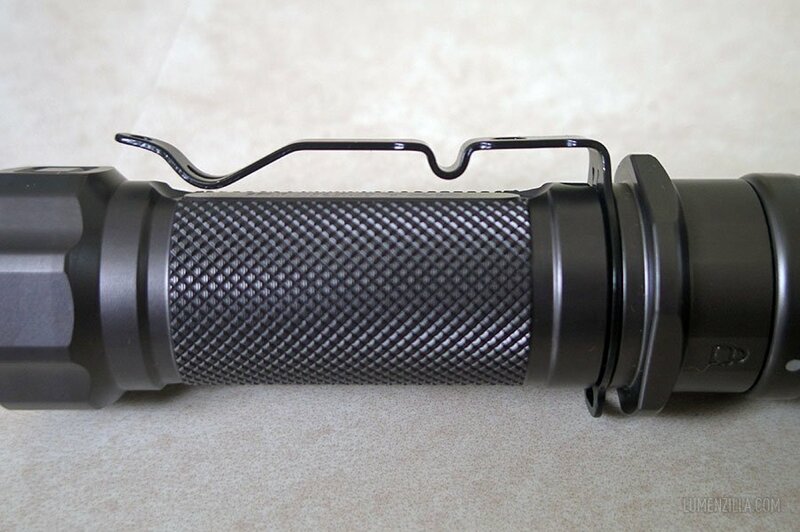 The knurling on its body also looks nice. One thing I noticed at first sight is its uncommon switch cover. It’s not rubber but kinda like plastic or perhaps even aluminium. Although the switch cover is made from hard material, clicking on the switch is without pain. It’s very easy to click. And here’s a photo of disassembled flashlight. If you look at the body, there’s a square that looks like a side switch but it is not. I think it’s there for decoration purpose. JetBeam Jet-IIM has has two group mode, tactical and non tactical. To use tactical mode tighten the head and loosen the head for normal mode. 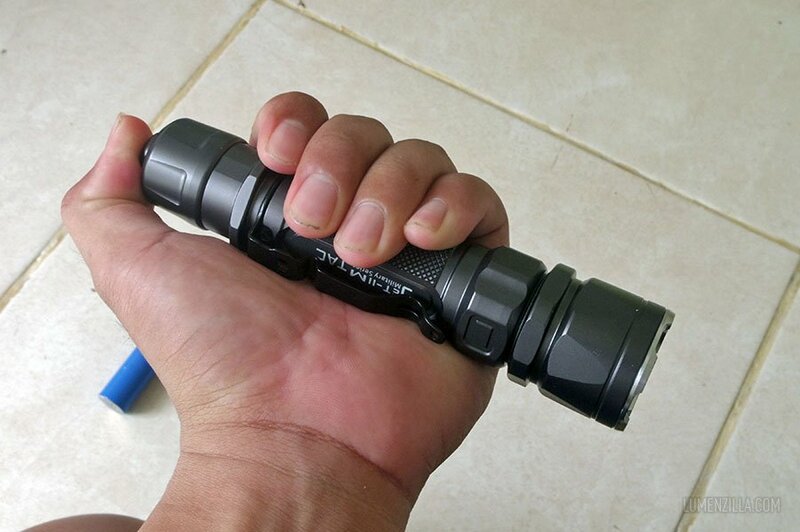 In tactical mode, flashlight will always got to high mode. In normal mode, user can choose from four brightness levels available (High, Medium, Low, Ultra Low) plus strobe and SOS function. It also has memory feature that will remember the last brightness mode used. 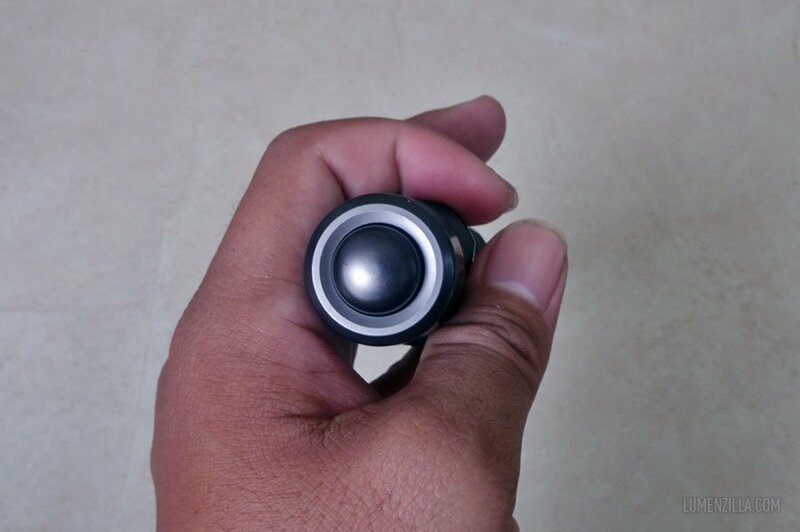 There’s a puzzlement on the mode switching in this flashlight. If SOS or strobe function was used and then switched to tactical mode (by tightening the head), it will remember either SOS and strobe function. So when we switch back to normal from tactical, it will back to SOS or strobe. But in the normal mode, Jet-IIM behave differently. It will remember any last mode used as long as it’s not SOS nor strobe. It will always go to high mode when the last used mode was SOS or strobe. 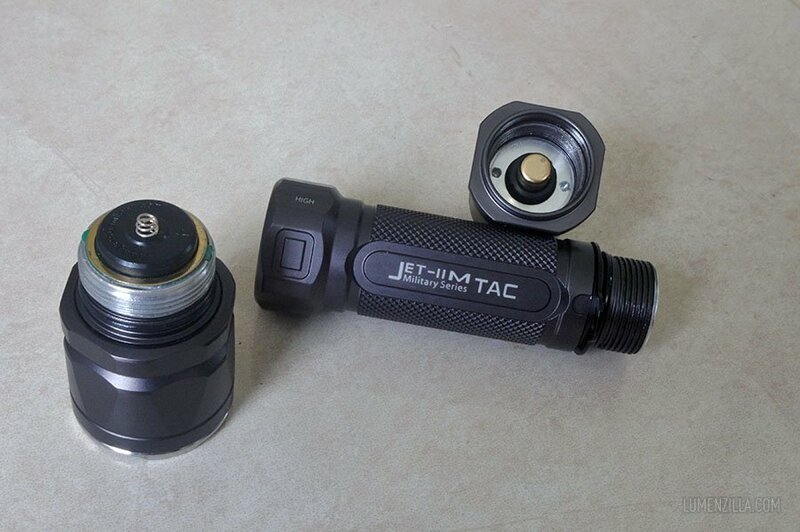 Like any other tactical flashlight, Jet-IIM also using forward clicky switch on the tail. The tail switch has a locking mechanism with three options: Normal, off, momentary. When in normal mode, the switch behaves like normal switch do. In off mode as picture below, the switch is locked and can’t be pushed. While in momentary mode, the switch can be pressed but not clicked. It’s a nice feature because the lock can prevent accidental activation. I also found that the light can be locked by loosen its tail cap a little bit. It took me a little while fo beamshot pictures because the weather wasn’t very friendly, it was rain almost every single night. But finally, here’s the beam shot pictures of Jetbeam Jet-IIM. 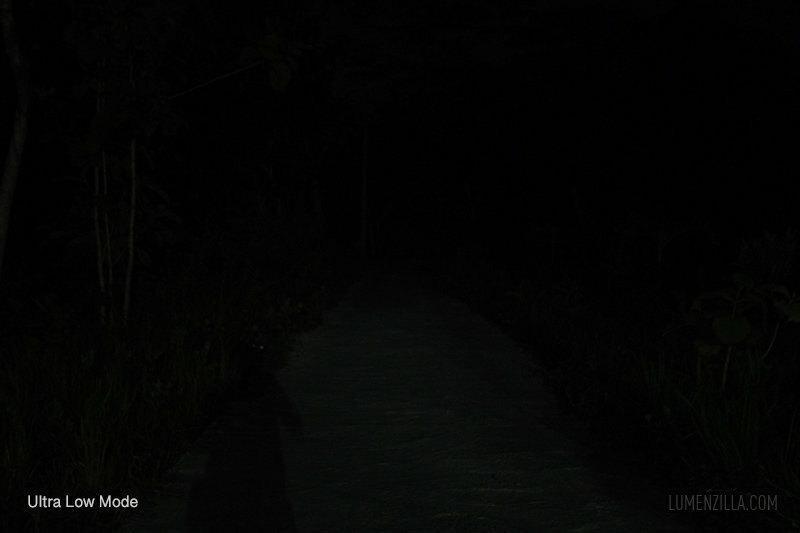 All pictures are taken using the same camera setting: Exposure 0.5 seconds, f/1.9, ISO 400. 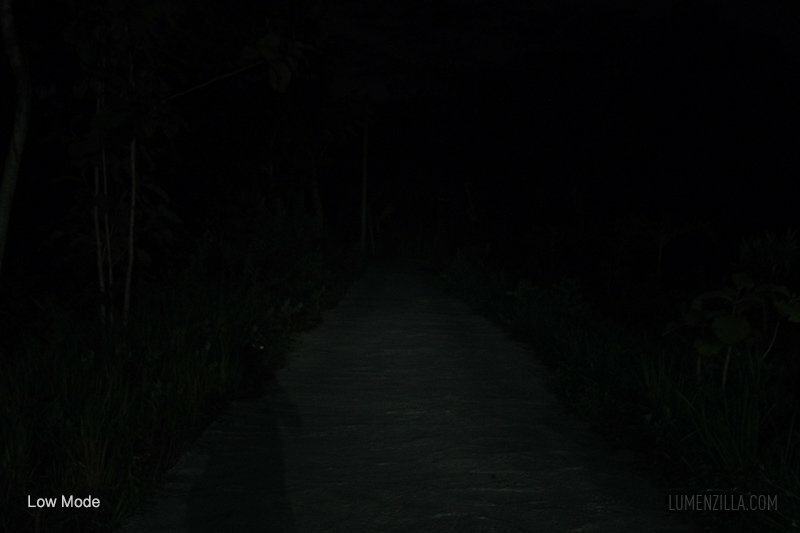 Distance of camera and flashlight to the power pole is about 60-62 meters. PS: I found that the beamshot pictures were almost out of focus when editing them. Dang! 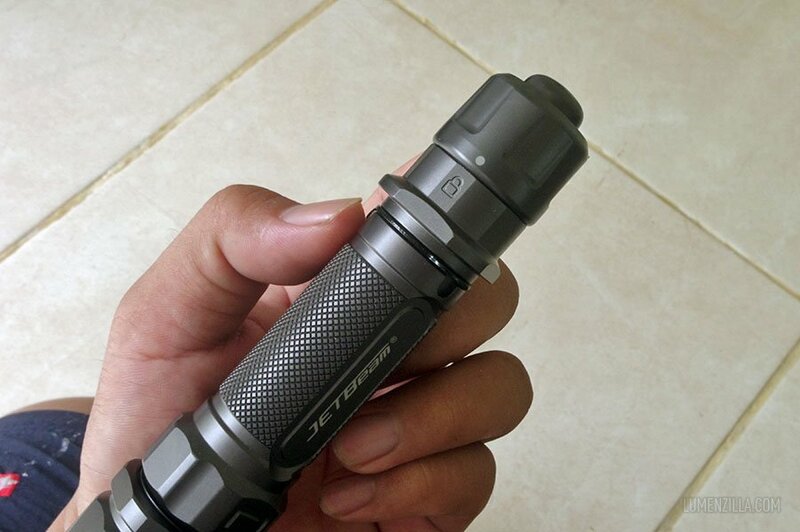 JetBeam Jet-IIM is a good tactical flashlight with unique features and seems durable. 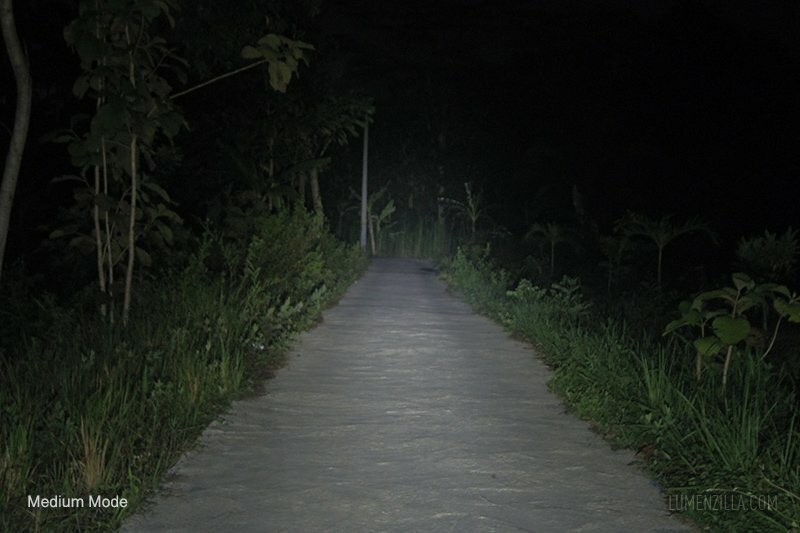 It also provide enough amount of light with longer runtime. The following pros and cons might be differ from one user to another, so please use your consideration. 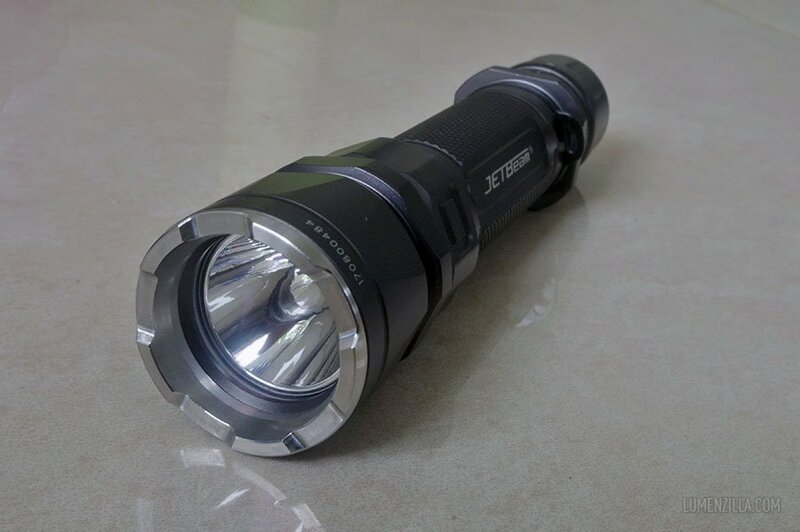 If you find this flashlight is interesting and suitable for your needs, you can purchase Jetbeam Jet-IIM flashlight at Gearbest for about $33 including shipping (or add a few dollars to get tracking number). 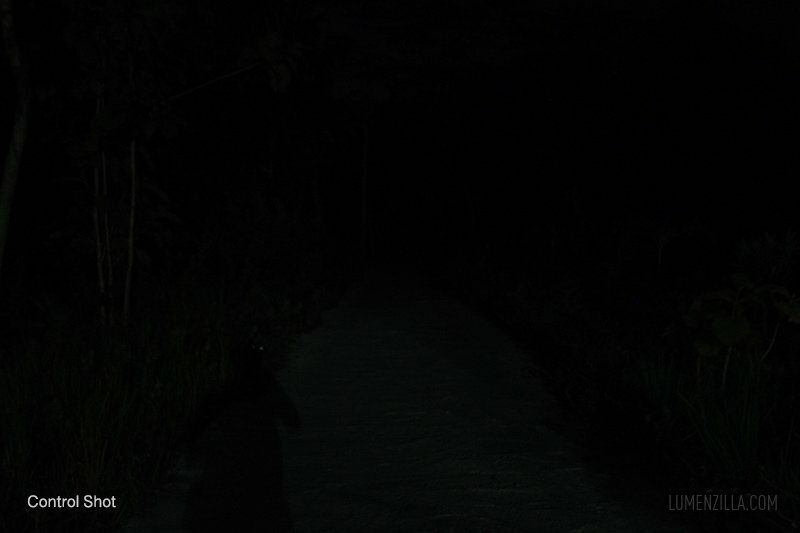 I love flashlights and anything that illuminates!